The arrival of the Victoria Line in 1972 saw Pimlico climb several rungs up London's desirability ladder from residential outpost to a worthy member of the SW1 club and with both Victoria Rail Terminus and the Houses of Parliament close by it is a favorite haunt of the political classes. The HQ of intelligence goliath MI5 lies just across the water but Pimlico wears its proximity to the symbols of power surprisingly lightly. 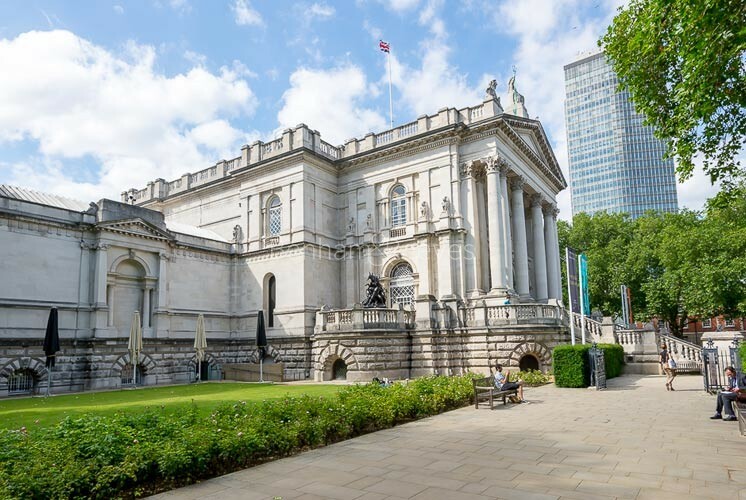 Perhaps it is its position on the lazy loop of the River Thames or maybe the handsome Thomas Cubitt designed Victorian houses, but one suspects the riverside presence of the Tate Museum adds a touch of high culture to the mix. Property in Pimlico is a mix of grand Georgian and Victorian terraced houses, often with pillared porticoes, purpose-built mansion flats, and flats and maisonettes above commercial premises. The Thames lends an added dimension to travel in that a riverboat service runs from Millbank pier to Waterloo and Southwark, not only enabling an alternative commute, but also establishing a direct link between the Tate and Tate Modern museums. With tree-lined streets arranged in picturesque grids around a series of impressive garden squares, an air of genteel calm can be experienced here particularly in the streets which overlook the River Thames which borders the districts southern end. 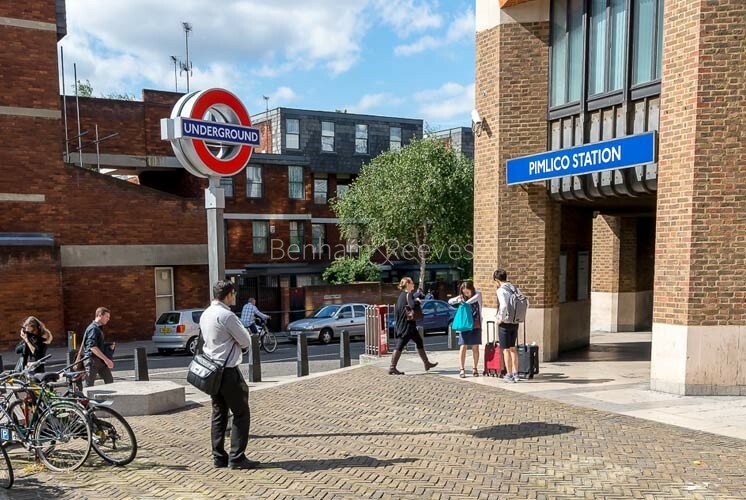 Pimlico station provides Victoria line services to central London and beyond. The nearest bigger travel hub is Victoria Station with many rail and bus connections and access to District & Circle underground lines. Many bus routes available along Vauxhall Bridge Road.